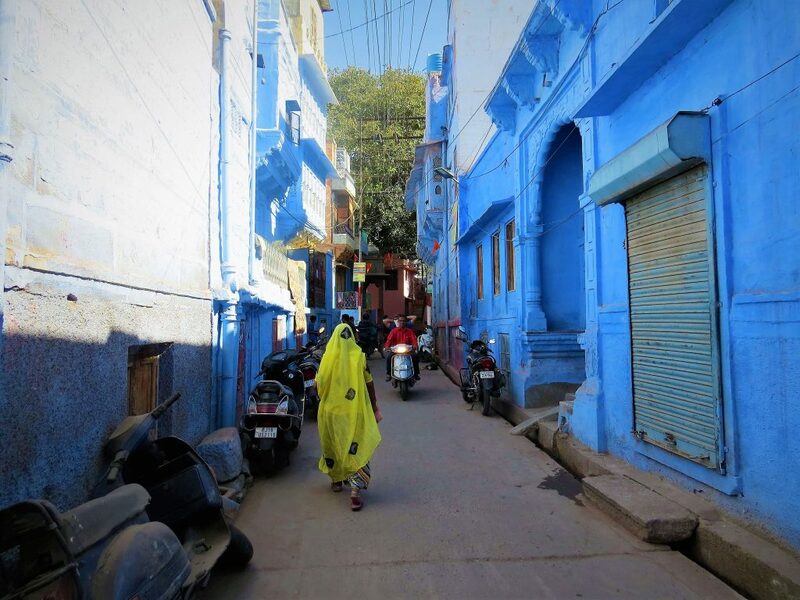 Nestled on the fringes of the Thar Desert, Jodhpur is also affectionately referred to as Rajasthan’s ‘Blue City’, thanks to the sea of cobalt-washed houses scattered around its majestic fort. Topping our list is Raas, a charming, luxury boutique hotel in Jodhpur’s bustling old city. 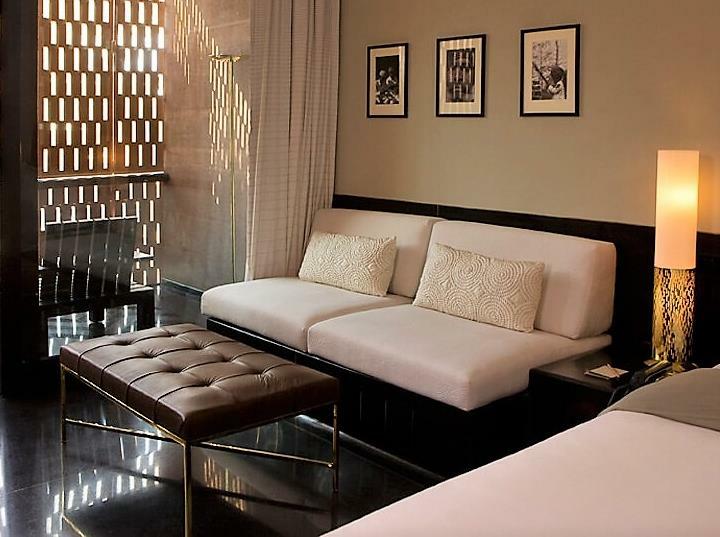 It’s the only luxury property to be based in the buzzing old part of town, and so it’s perfect for those who’d like to be in the heart of the action: an afternoon exploring the vibrant, narrow lanes of Sadar Bazaar is just a short stroll away, and the buzz of the blue city is right on your door stop. 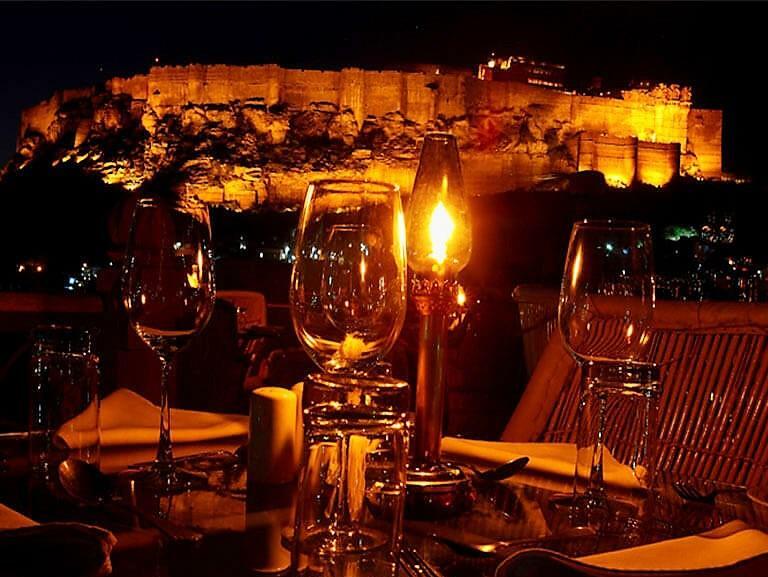 Nestled at the foot of the majestic Mehrangarh Fort, the best thing about Raas is the spectacular view it affords – arguably one of the best hotel views in all of Rajasthan, sitting out on your private terrace in a comfortable lounge chair overlooking the fort is a truly memorable experience. Raas seamlessly blends the old with the new, fusing an 18th century haveli with sophisticated modern-day design. 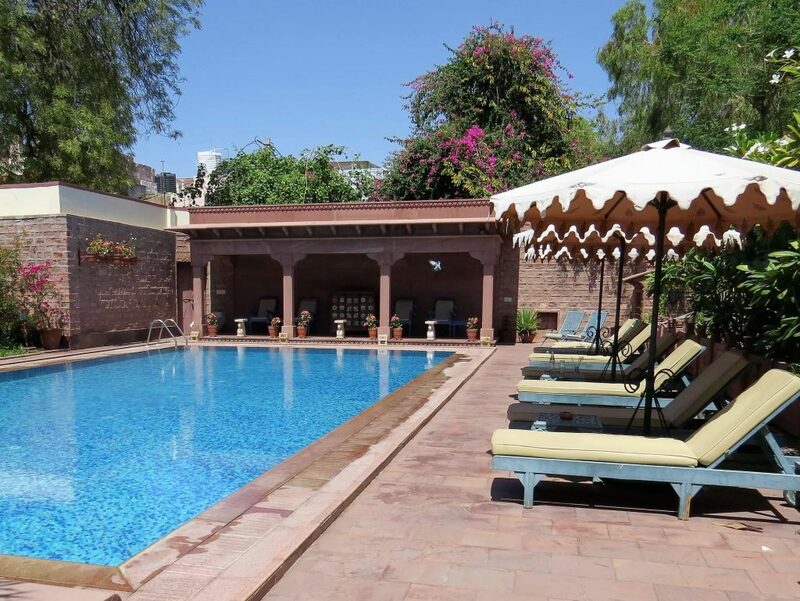 Imagine red sandstone walls and Mughal-inspired arches, soft cream sofas and twinkling lanterns, chilled boutique vibes, a stunning swimming pool, and serene spa. Rooms start from approximately $340 per double, inclusive of breakfast and taxes. 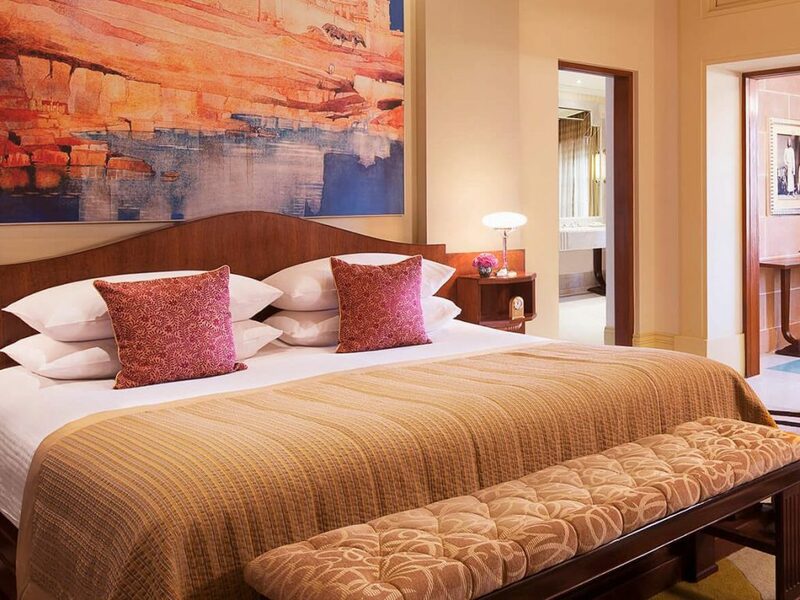 It’s difficult to choose a favourite category, but we do love the Luxury Rooms. A stay at Raas is an ideal match with our Rajasthan with Boutique hotels sample itinerary. The grand Taj Umaid Bhawan Palace offers a truly unique and luxurious experience, ensuring the very finest in luxury, style and comfort. This magnificent Art Deco palace was named by TripAdvisor as their Best Hotel in the World in 2016. It was constructed in the 1930s and hence is often thought of as the last of Rajasthan’s great palaces. Today, it’s still home to the Maharaja of Jodhpur and is currently one of the world’s largest private residencies. Sprawling over 26 acres of beautifully manicured gardens, the property is now divided into three parts; the Maharaja’s wing, a small museum, and a luxury hotel operated under the wing of the Taj group. We’d recommend a cup of tea overlooking the gardens (the Maharaja is often spotted walking his dog), or a G&T in the Trophy bar to imagine you have stepped back in time. Rooms start from approximately $930 per double, inclusive of breakfast and taxes. 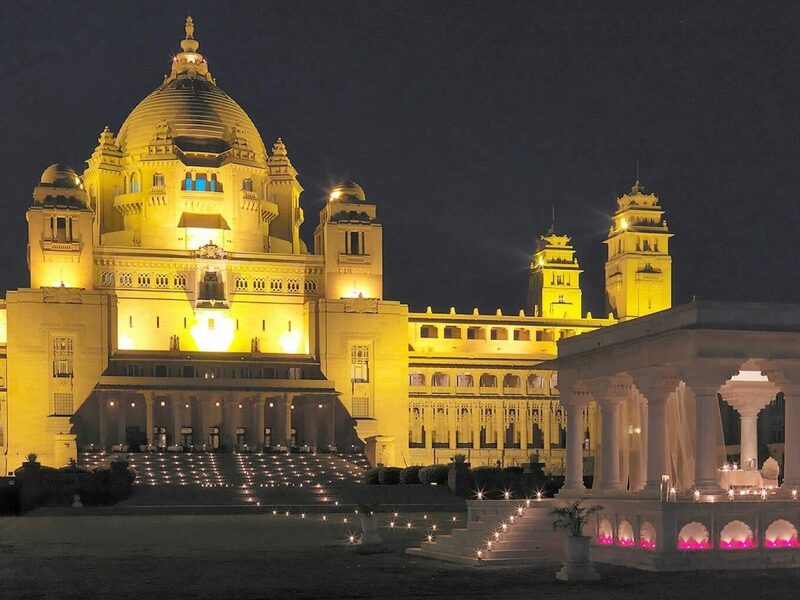 Our favourite category is the Historical Suite, and a stay at the Taj Umaid Bhawan Palace is well paired with our Oberoi, Leela and Taj Luxury Rajasthan Tour. 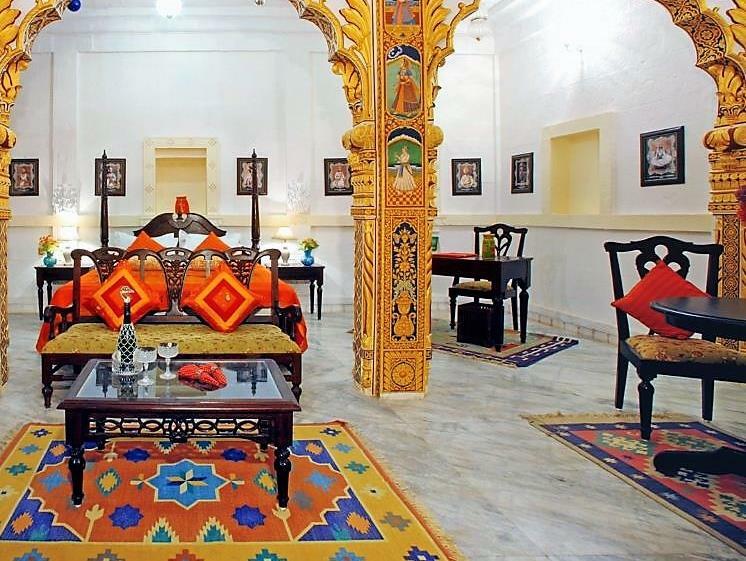 Pal Haveli is a charming heritage property nestled in the heart of Jodhpur’s old city. It dates back to the 19th century, where it served as the home of Thakur Umaid Karanji until the year 2000, when it was converted into a characterful hotel. The owners have carefully retained a number of original features, including teakwood furnishings, narrow stone staircases, and traditional handicrafts, which all together create a cheerful and authentic Rajasthani experience. Pal Haveli is not a luxury hotel, though its central location makes it ideal for those who’d like to immersive themselves in the heart of this colourful city. 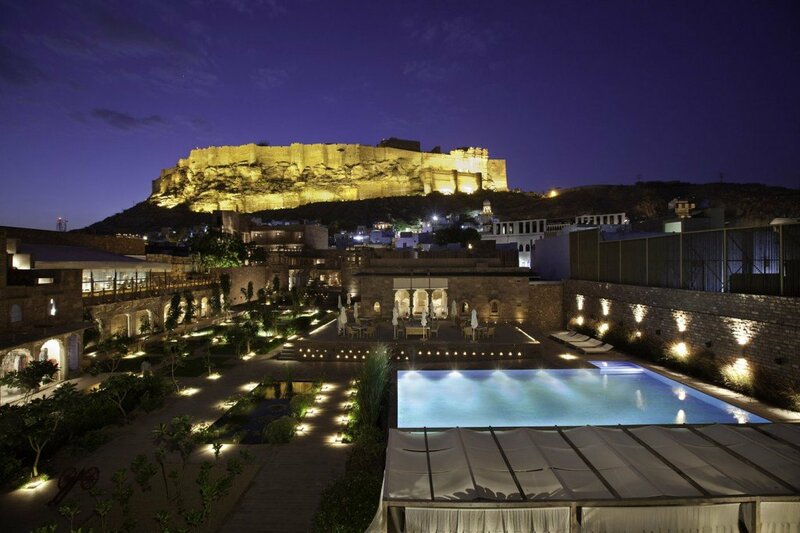 A fabulous view of the fort from the rooftop restaurant makes this an unforgettable place to stay. Rooms start from approximately $77 per double, inclusive of breakfast and taxes. At Pal Haveli, we loved the Heritage Suites. The delightful Ratan Vilas dates back to the 1920s, where it was built by great polo player Maharaj Ratan Singhji. It was later converted in a charming heritage hotel by his grandson, Brijraj, and now offers visitors the quintessential colonial-India experience; from the friendly staff to delicious local cuisine, beautiful well-kept gardens, spacious rooms and a tableaux of old family trinkets and heirlooms scattered through the property. Being located on the quieter outskirts of Jodhpur’s main city centre yet still within easy access of the monuments makes it an ideal base for those who value peaceful surroundings. The swimming pool is a wonderful place to cool off in after a busy day of sightseeing. 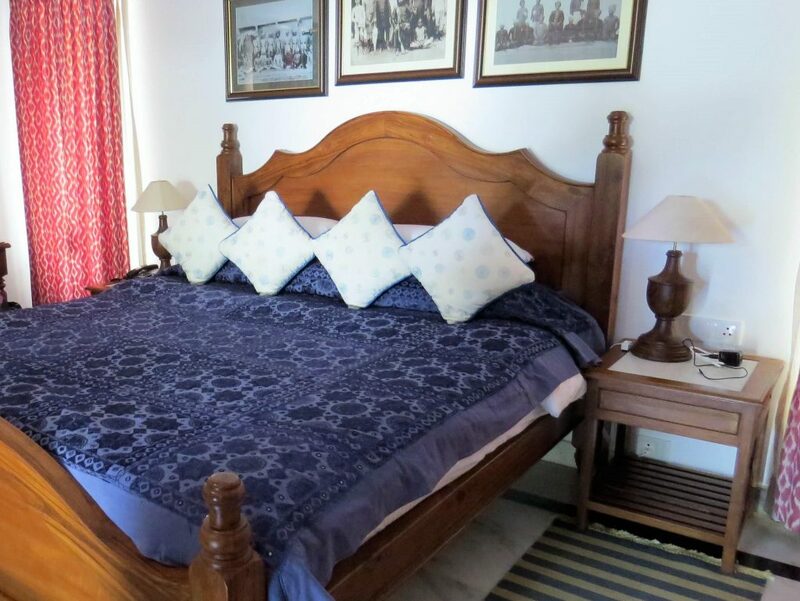 Rooms are Ratan Vilas start from approximately $65 per double, inclusive of breakfast and taxes. Our favourite rooms at Ratan Vilas are the newly refurbished Courtyard Superior Rooms. Any of these hotels in Jodhpur can be included in a private tour of Rajasthan with us. As experts in tailor-made tours of this particular region, we’d be an ideal match to assist with your arrangements. We’ve visited or stayed at all the properties we’ve hand-picked for our guests, so you can be assured of a comfortable and memorable experience. Please do get in touch if you’d like to begin planning your private tour of Rajasthan with Indian Excursions, or, take a nosy at our sample itineraries for inspiration.